This article on downy flower heads was originally published in The Bushcraft Journal issue 17 published in October 2017. After looking at various methods of ignition I want to turn my attention to tinders. And just like different ways of lighting a fire, this is another big topic and it’s had me wondering where to start. 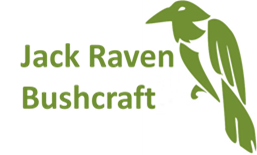 For me bushcraft is all about developing an understanding of, and building a relationship with, the natural world. I’m thrilled by trying to understand the environment I’m in and discovering and benefiting from the resources it has to offer. For our hunter gatherer ancestors looking out into the wildwood, they were confronted by the supermarket, DIY shop and chemist all in one. It was simply a case of knowing what resources were out there, where to find them, when to find them and how to prepare and use them. So I’ve decided to start with natural tinders. And as, at least here in Kent, it’s late summer I thought I’d start with downy flower heads. And apologies guys, these next few articles are likely to be based around materials that are common in the UK, although where species are found in other parts of the world, I’ll say so. Before I start talking about downy flower heads I want to introduce a couple of ideas. I often tell people that I have tinder constipation because I can’t pass a birch. What I mean by this is that you should get into the habit of not passing by a tinder source, rather you should collect tinder as you come across it rather than waiting until you need to light a fire and then going searching. I put my collected tinder into my front trouser pocket so that I can use body heat to drive out any moisture in the tinder. Certainly avoid putting your tinder in your waterproof’s pocket or plastic bags. As you’re on your travels and you see something and wonder to yourself if it’ll work as a tinder, well, give it a go. Pick a little and take a lighter to it to see what happens. If it burns, well great, collect some more, take it home and try igniting it with all the different methods we’ve looked at previously. This will help you develop your fire lighting repertoire. Downy flower heads tend to be seasonal and generally in the late summer and early autumn (but not always!). That means that you need to get out and collect them whilst they ‘re available and then store them. But I’ve found rosebay willowherb in sheltered spots with their flower heads still present well into the new year and I’ve found clematis flower heads in a hedgerow in March, so it’s worth keeping your eyes peeled. So whilst downy flower heads are seasonal, we also get some in the spring such as dandelions and goat willow catkins. Earlier I mentioned benefitting from the resources that nature provides. Clearly we need to do that in a responsible and sustainable manner. Downy flower heads are the seed dispersal mechanism for the plants we’re looking at here so it’s important to not strip any given area. I tend to go with the 10% rule and only forage 10% of plants. This means that there are plenty of seeds left to disperse and become new plants so I can go back and collect up more next year. For some tinders it’s crucial to know the species you’re looking for, but with downy flower heads this is less the case. If you’re in an unfamiliar part of the country, or world, and find a plant or tree that has what looks like a cotton wool ball growing on it, there’s a very good chance that you’ll be able to make use of it. Out of curiosity I’d want to find out what the plant was, but what’s important is understanding the properties the plant possesses and how to make best use of them. In my experience downy flower heads work best as an ember extender. They don’t generally do much more than flash flame briefly, but added to a tinder bundle they really come into their own. Take a look at my article in issue 13 to find out about tinder bundles. Once I’ve made my tinder bundle I make a small depression and then put some downy flower heads into that depression, and then place the ember on top of the downy flower heads. I find this gives the ember a little extra fuel and makes a big difference. Dandelion (Taraxacum officinale) is a large family of plants that are found throughout Europe and North America. They are both common and abundant in fields, waste ground and disturbed ground and are considered a pest by many (but not me, we eat them, make beer from them and also make infusions, balms and ointments from dandelions!). They flower early and thus produce a usable downy flower head in the spring, although they continue to be around throughout much of the summer. The flower head is insubstantial and so you need to collect a lot of them. Goat Willow (Salix caprea) is a small tree that is common in Europe and parts of Asia. It’s the only willow that isn’t a water indicator, doesn’t burn particularly well, or produce much heat, and has a shallow root system that means they get blown over easily; in fact, if we have a high wind come through the woods I’m pretty confident that a goat willow will come down. I’m not a fan of them. However, in the spring they almost redeem themselves by producing a catkin that makes a reasonable ember extender. Clematis (Clematis) is a genus of around 300 plants that can be found across Europe, North and South America , Australia, Africa and Asia. Here I’m focusing on Clematis vitalba, native to the UK, where it’s also sometimes referred to as Old Man’s Beard or Traveller’s Joy. It is a woody, vine like plant that prefers chalk soil (we have masses of it at our woodland on the Kent Downs). Thistles cover a few genera. We are interested in Circium, a large genus of plants that extend across Eurasia and are also found in Africa and North America. The ones in this photo are Spear Thistle (Cirsium vulgare). They are common and abundant but you need to exercise a little care when harvesting lest you get a pierced finger. There are a few species of willowherb in the UK, and as far as I know they all produce a downy flowerhead. But the one that I’m particularly interested in is Rosebay Willowherb (Chamerion angustifolium). It’s present throughout much of the temperate parts of the northern hemisphere and in the US is often called ‘fireweed’ and in parts of Canada ‘Great Willowherb’ (although here in the UK we refer to Epilobium hirsutum as Great Willowherb (good job we have scientific names for plants!). It’s a tall plant that loves to grow on chalky soil; here in Kent the hedgerows and roadsides are literally covered in it. It’s a very easy tinder to collect, just run your hand from the bottom to the top. It’s probably my go-to downy flowerhead as you end up with the sepals mixed in which are almost woody in texture and give rosebay that extra bit of body when being used as an ember extender. Cat Tail (Typha latifolia), commonly referred to as ‘bulrush’ in the UK, is found across Eurasia, North and South America and Africa in wetlands. It produces that typical ‘sausage on a stick’ head that many of us are familiar with. As a tinder, it provides an incredibly fine downy flower head that blows away in the slightest of breezes. It also gives an edible rhizome. I know someone who thought that cat tails would make good decorations in their house and set some as a display. He and his wife went out and returned to find that the cat tails had ‘exploded’ whilst they were out! Ragwort (Senecio jacobaea) is native to northern Eurasia and has been introduced to North America. It tends to grow on grassland, especially areas that are grazed, often to the annoyance of those keeping the livestock as it can be dangerous to horses and cattle, although recorded cases are rare.. It produces a small downy flower head that is quite fine but works reasonably well as an ember extender. If you live near heathland or moorland you might encounter cotton grass (Eriophorum angustifolium); unfortunately we don’t have much of either of those habitats in Kent and so cotton grass isn’t something we encounter very often. However, we do get to try it out when we run a course on the Isle of Arran, off the west coast of Scotland. I’m confident that this list is far from exhaustive as far as downy flowerheads go, so remember, if you see some, collect it and give it a go. Next issue we’ll look at some more natural tinders, but in the meantime, get out there and give some of these a try. We teach how to prepare and use tinder bundles on our 2 Day & 5 Day Bushcraft Courses, the IOL Bushcraft Competency Course and also our 2 Day & 5 Day Survival Courses. You can see plenty of photos from all of these courses on our Facebook page.